My name is Jan Čurn, welcome to my personal homepage, a place where you can find some information about me and my work. 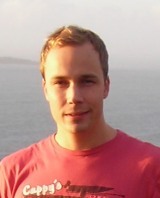 Until 2014 I was a Ph.D. student in the Distributed Systems Group of the School of Computer Science and Statistics, at Trinity College Dublin - I used to have a dedicated departmental web page there. In 2008 I co-founded VirtualRig™ Studio, a professional software for realistic motion blur simulation in traditional photography and CGI. In 2011 I co-founded Dev tank, a software development company and finally in 2015 I co-founded Apify, the web automation platform. Here you can find my official Jan Čurn's curriculum vitae, Jan Čurn's LinkedIn profile and Twitter. My email is jan.curn@gmail.com. YA-RPC is a next generation framework for building distributed applications in C# and Java. In comparison to classical remote procedure call systems, YA-RPC offers unique performance, and provides features like encryption, compression, asymmetrical serialization, intelligent threading and much more. All the information may be found on dedicated project web site http://www.yarpc.org. OpenMI is European standard for linkage of water and environmental computational models, supported by the European Commission under the Fifth Framework Programme. Distributed OpenMI extends the standard with a possibility to link models running on different computers, and provides advanced features like caching, piggybacking and direct model linkage to achieve high performance of distributed computations. I designed and developed the system during my Master's Thesis at Department of Software Engineering, Faculty of Mathematics and Physics, Charles University, Prague. Using the link below you can download the text of the thesis. Public web site providing unique service for searching web pages offering used cars. In one place a user may find most of the offers present in the Czech internet. I am one of the owners of the system, the project manager, overall system architect and developer of many components of the system, including the document analyzer which is based on advanced evolutionary algorithms. The site is running at http://www.najednommiste.cz. Once I needed C# source code of parser of HTML documents, but I couldn't find any suitable. However, I found very nice open source library named HTMLParser written in Java (see http://htmlparser.sourceforge.net) released under GNU Lesser General Public License. I used Java Language Conversion Assistant to convert this library to C#, and then spent some time with rewriting of code and adding some new functionality (like capturing of single pages). Of course, new code is not so well tested like its Java "brother" so there can be many bugs in it. 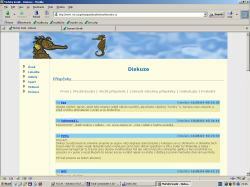 You can download it here, but remember it is also released under GNU Lesser General Public License. Commercial project intented to automatically manage over 9000 users of network at Institue of Chemical Technology and many other interrelated things like mailboxes or personal cards. Main problem of the solution was to make robust system that would understand whole organizational logic and intelligently decide some unusual situations to minimize human intervention. 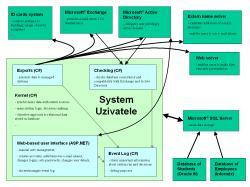 The kernel of the system was developed in C#, data are stored on MS SQL 2000 database server, web interface was done in ASP.NET with C#. Regrettably the system contains private data so it's not possible to show you how it works. However, you can look at some screenshots here. 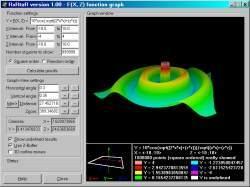 Mersenne Twister is popular pseudo-random number generator of period 219937-1. Compiled version of C implementation is not effective at all when you use compiler without profiling optimizations. That's because each time you call the function which generates pseudo-random number your code creates quite big stack frame to preserve values of some registers. But this behaviour is needed only in one of 624 function calls. So I decided to implement Mersenne Twister algorithm in x86 machine instructions (rather 80386). The resulting code is about 15-20% faster. Text for school seminar of modern networking solutions. It deals with SPAM and techniques used to fight against it. During my work at Institue of Chemical Technology I was asked to help with analyzation of morphological quality of stomatal wax on the needles of picea abies. I developed simple tool that processes images from electron microscope. Here you can see some pictures generated by this software. Part of school project lead by Distributed Systems Research Group of Faculty of Mathematics and Physics at Charles University in Prague intended to develop elementary preemptive multitasking operating system. We implemented modules to manage physical and virtual memory and mapping between them and to dispatch memory exceptions. Modules were developed in C and MIPS R4000 assembler, compiled using gcc cross compiler and tested on R4000 simulator MSIM. By my opinion the most interesting is module for managing physical memory that can handle variable length frames of up to 64GB of physical memory and operates in logarithmical asymptotic complexity with less than 0.05% overheads. Sometimes I also compose web presentations using different technologies and for different purposes, recently for example for childern medical camp named "Morsky konik" organised by VZP (which I also taked part as couch) using pure HTML, CSS and CGI scripts at http://www.volny.cz/mk or for example for Lipnicka s.r.o. (house building company) using HTML, CSS, PHP and MySQL at http://www.lipnicka.cz. 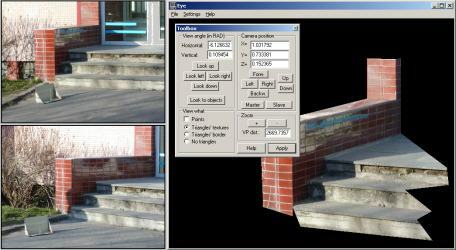 System usable for 3D reconstruction of real-world scene from two or more photos. Human assistance is needed to synchronize positions of cameras, to identify equivalent pixels at two photos and relations between them. The result can be rendered by own software engine, textures are read from source photos. System for 3D reconstruction named Eye still needs human assistance to synchronize cameras, to identify equivalent pixels and relations between them. The goal of project EyeAI is to minimize these activities. Synchronization of cameras by hand isn't needed any more, non-trivial genetic algorithm to solve this problem was successfuly tested. I also tried some methods based on huge statistics to automatically identify equivalent portions of source pictures, but the result wasn't so obvious. Main problem is with surfaces with non-sharp textures (white wall, sky, ...) so other advanced heuristic methods should be used. I would like to thank for inspiration to Center of Machine Perception of Faculty of Electrical Engineeing at Czech Technical University in Prague, namely to Tomas Pajdla for his valuable time. The project was due to time reasons	defered. Short text giving basic overview of pseudo-random number generators and their properties. It's classical game with snakes, you control small snake, which grows with some tokens it eats. If your snake run into borders, other snake or itself, it dies. I improved the game with some other features, for example there can be at the same time up to four human or AI players together. Of course you can apply your own keyboard settings. Non-procedural script written in SWI-Prolog for converting chemical formulas of inorganical compounds to its czech chemical nomenclature equivalents. It doesn't implements nomenclature of coordination compouds, elementary compouds and ions. Nomenclature of covalent hydrides doesn't meet czech national norm. Application for renedering of analytical function f: R2->R. You have to type this function in the text-box using arithmetical expression with two variables, the application solves than its values in some points which will be later shown using different view-settings. There are some options you can apply, for example z-buffering, square/random points generation and other. The text for physical seminar at grammar school Budejovicka, it deals with elementary particles, it's properties, detection and acceleration. Application that shows jokes stored in textfile at Windows startup. More interesting then application itself is multi-thread installation utility which manages files, destination directory and some registry entries. Uninstallation is done by little trick - it uses DOS executable which deletes itself during runtime because Win32 executable cannot do this. 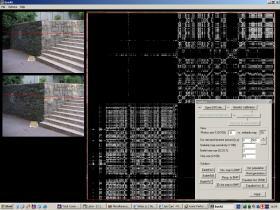 I spent lot of time with developement of universal software 3D engine intended for games. After one year of hard work many source lines of code have been written, but the engine was still unusable. One of my first programming experiments, implemantation of classical school game for up to four human players. The script was written in BASIC, later it has been compiled to DOS executable, some intro was added and whole these files were included into one Win32 executable (interesting, or not? :-), which you can download below. There are links to pages of my friends and colleages.